The Buchanan in Burnaby North was built in 2002 by Bosa, located at 1889 Rosser Avenue. Contains 2 floors and 139 units. Located near Walmart and Lougheed Town Centre with its multitude of retail shops and specialty services. Close-by restaurants include Malone’s, Boston Pizza, Pasta Amore Italiano Ristorante, Miki Sushi Japanese Restaurant and many more. 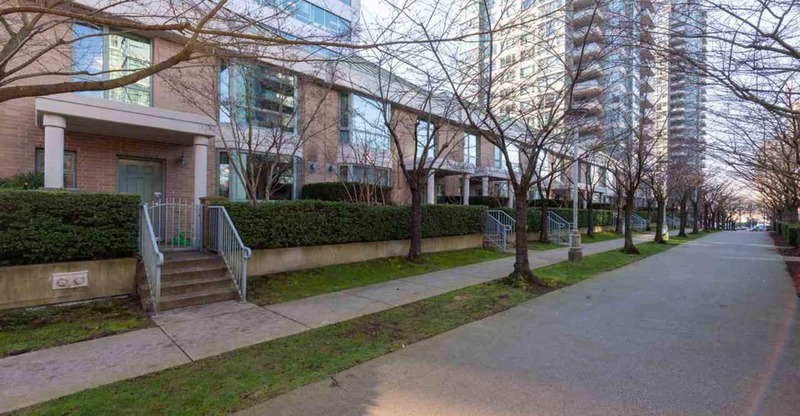 Lougheed Skytrain station providing direct access to Downtown Vancouver is a short walk away. Schools nearby include Holy Cross Elementary and Thunderbird Elementary. For grocery shopping Save-on-Foods, Kin’s Farm Market and various quick-stop and food markets in the area are an easy stroll away. Willingdon Community Centre is just around the corner on Carleton Avenue. Public transit routes allow access to the rest of Burnaby and Vancouver and the Trans Canada Highway is moments away, this condo offers the urban convenience every homeowner would be looking for. Building features and amenities include 9 ft ceiling, large windows, 2 side-by-side parking stalls, gym, sauna, steam room, bike room, club house, in suite laundry, playground, locker and gas fireplace. The Buchanan is sure to impress. Find your home in The Buchanan today!